Custom yard signs are a cost effective way to get your message out. 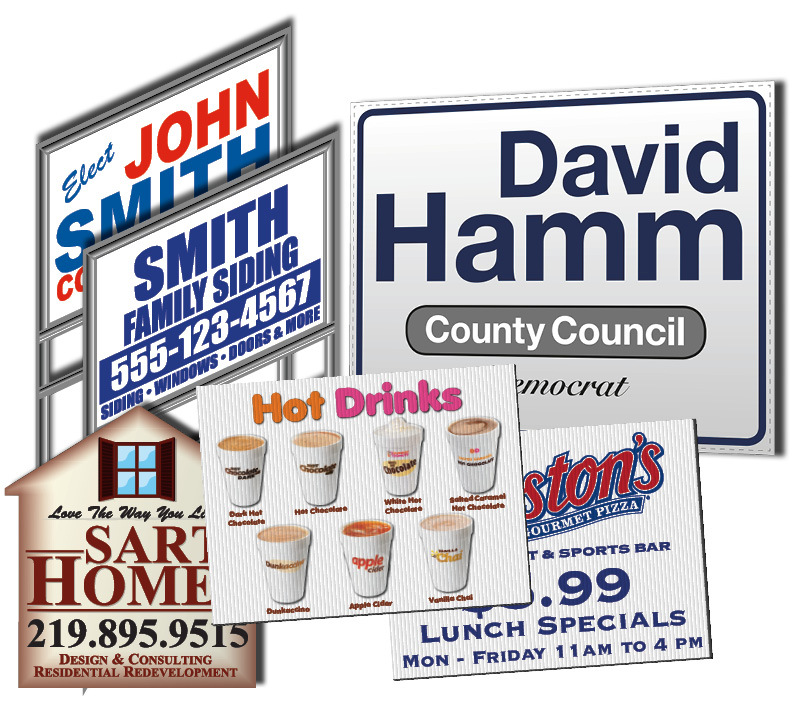 Political campaigns, real-estate sales, construction and yard services to name a few will benefit from a custom yard sign. Constructed from light-weight corrugated plastic to heavy weight weather resistant paper, yard signs can stand up to the elements. Printed with the highest quality UV inks to insure long lasting use, our signs will stand the test of time. We offer steaks with our signs. You will have everything to get going the second you receive your yard signs. Just put them in the ground and go! Keep them on hand wherever you go! Contractors can use them to promote their work and non-profits can help promote their cause and allow people to show their support. Our signs have a reputation for being high-quality and being economically affordable. In addition our design professionals can help you produce the most effective sign for your needs.